At TAworks we take a contemporary constructivist view of transactional analysis — that is, through the relationship between us, we create our experience. Picture a coral reef — this symbolizes how community is co-created between individual organisms. 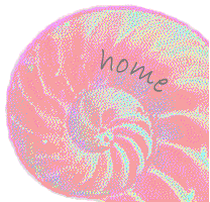 Change emerges — the spiral is a metaphor for how this happens and is found throughout nature. This perspective inspires all our practice viewing relationships as central, including the individual’s relationship within her or him self. Thus developing the capacity to self-reflect is vital — and TA provides a useful map to support this. TA provides a wealth of useful concepts to support personal or professional or organisational development. At TAworks we include learning about all of the following and more in our wide range of training programmes — you can also find details in our calendar and browse sample material via our articles page. Originating in 1950’s with Eric Berne (1910-1970) TA has continued to develop theoretically, and today provides richness in illuminating relationships — within oneself and between individuals, groups and systems. It is a theory of communication as well as providing concepts to consider personality, and a model of systems. to monitor my self and so aim to maintain my internal Adult ego state — being alert in the here and now, evaluating my internal responses and accounting for what is going on around me. to make professional assessments of my client and their context and to share those understanding in ways that make sense to my client — whether this is an individual or a system. to decide on, and implement, whatever interventions seem most effectively to bring about the realistic goals negotiated with my client. to review outgoing communication between my client and myself, and within the wider context, in order to notice and account for changes. when useful, to share relevant TA concepts with my client.